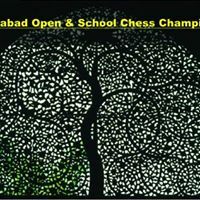 Ahmedabad Open and School Chess Championship is conceptualized and organized by BuzzMonk and Tirth Chess Club. It will be held on 1st weekend of December. Chess For All ages and abilities. 1.Open : Anyone can participate in this group. No criteria. Cash Prize worth Rs.15000 for this open group. Trophies for Top3 in both U11 & U13. Venue:- Tirth Chess Club, Opposite dandi bridge, Ahmedabad.